Overview: Pinot Grigio and Pinot Gris. They are both the same variety however their stylistic origins differ. Pinot Grigio is the Italian name for the variety and is crisp and dry, typically displaying characters of pear and almond. Pinot Gris is the French name (Alsace) and is typically richer and more complex. In the early days of Pinot Gris/Grigio production in Australia there was some confusion surrounding the variety as there were wine being made into a Grigio style and labeled as Gris and some were made as a Gris style and labeled as Grigio. There was a push to name the variety Pinot G in Australia to eliminate confusion. This may no longer be necessary now that we have found our feet with this grape and are being labeling them accordingly. This Pinot Gris is a prime example of getting it right. A portion of this wine was fermented in old oak to give a layer of complexity. Final Say: Get Pinot G-iggy with it. This is a wine that will be best enjoyed with food. $30 a bottle. Overview: There are certain descriptors that we in the industry use that mean nothing to a lot of people. For me this was the Gooseberry character often used to describe Sauvignon Blanc. Up until two years ago I did not even know what a Gooseberry looked like let alone tasted like so when I did actually taste a Gooseberry my association was more that Gooseberry tasted like Sauvignon Blanc then Sauvignon Blanc tasting like Gooseberry. Another one of these descriptors is Cassis which is often used to describe Cabernet Sauvignon. Cassis is a liqueur made from Blackcurrants. Again, if you’ve never tasted Cassis then it’s hard to link it to what you taste in a wine. It’s a blackcurrant like flavor that can be tart but not bitter. While I try to avoid using descriptors that will leave people staring blankly, mumbling ‘What the f@&* is he talking about’ I found that this wine was laden with that Cassis character and just could not find a substitution so if you’ve never had Cassis before think of Ribena, super ripe blackcurrants, or even blackcurrant pastilles. 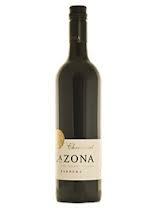 Tasting note: Cassis aromas primarily but subtle characters of plum and menthol can be found lingering in the glass. Cassis again on the palate, as this heady blackcurrant flavour subsides more complex spice, plum, blackberry shines through. A nice hint of cinnamon and finishes with fine, grainy tannins. Final Say: This wine can be found on the shelf for around $18 a bottle. 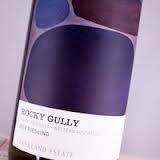 Typically Margaret River in style, toeing that razor’s edge between green fruit and elegant spice and ripe fruit. Overview: Special occasions urge us to reach for Champagne. New Year’s Eve, Christmas, birthdays, stubbing your toe and successfully completing a working day without sneezing can all be seen as good reason to pop a cork… I wish. It may be because we save this sacred drink for special occasions that makes it so damn good but if you are a wine nerd like me it’s also the work that goes into these wines that makes them so exceptional. Blending, riddling, disgorging, dosage and secondary fermentation, all terms that may not mean much to most people but they are all related to how Champagne is made. Because I save Champagne for celebrations, and true celebrations are few and far between, I always find that I have my ‘go-to’ Champagne and rarely deviate from this, so for this review I’ve chosen something that I haven’t tried in a few years. 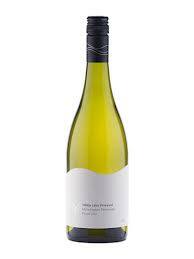 Tasting note: A delicate, elegant nose comprised of toasty aromas, peach, melon and a touch of yeast. A fresh, clean palate with a fine, gentle bead. Flavours of honeysuckle, melon and citrus with a slight bready undertone. Final Say: Get some fizz in ya! Reasonably priced at around $70 a bottle.